Understanding women’s needs will place men in a better position to help women get what they need to survive pregnancy and childbirth for a prosperous family, community and country. The role of men in improving maternal health outcomes is vital. 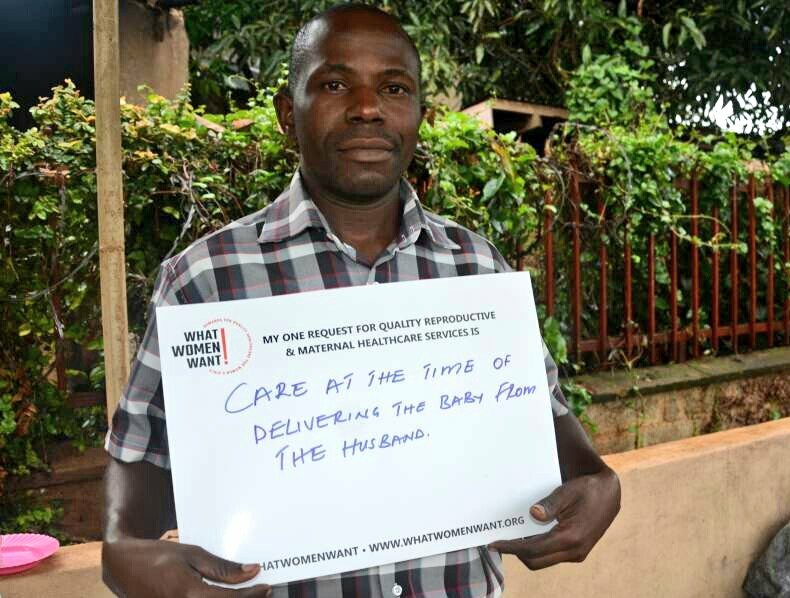 Men play a critical role in supporting women and newborns and their encouragement can lead to increased utilization of maternal and newborn health services by women. In patriarchal societies, where men head families and control resources, they are often consulted by women on their choices to seek health care or treatment. Men often influence where and when pregnant women seek health care, how many children they have and whether they seek family planning and other reproductive healthcare services. They sometimes determine the kind of food the pregnant woman eats. In making these decisions, men believe they are doing what is best for their women and families, yet most of these patriarchal societies exist in countries with high maternal mortality rates. That is why it’s important to recognize that women and girls are experts on their own health, their voices are the ones that matter and they should be heard. The needs of women are vital because, if met, they will determine whether a pregnant woman will seek skilled medical care or not. It is of absolute importance for men therefore, that as major influencers of their pregnant women’s decisions, they understand and support the quality maternal care needs of the women in their lives. It’s the right approach and the smart approach. When a woman has birth complications, this frequently has financial and social consequences for the family and the community at large. Worse still, if the woman dies, the widower’s life is destabilised because they must solely look after the family, impacting their work life and overall financial position. As the core family collapses, the widower may solicit relatives to help take care of the children and depend on them for support, drawing in the community. Life becomes complicated, compounded by the emotional challenges that the children and husband endure to cope with losing the mother/wife. It is therefore paramount to understand women’s and girls’ reproductive and maternal healthcare priorities, so that it can be provided and enable more women and newborns to survive pregnancy and birth, and thrive as valued, contributing members of society. Women and/or girls may define quality in form of; receiving treatment free from complications, accessing affordable treatment at facilities within quick reach, health facilities that maintain proper records for easy follow up, giving birth in a clean and friendly environment with privacy, access to sexual and reproductive information, receiving services without discrimination by age, social or economic status, religion, physical ability, among others. The point is, quality looks different to different people and we will not know what the top needs are for a community’s women and girls unless we ask them. Propelled by the desire to hear from women and girls all over the world to design health care services that are responsive to their needs, White Ribbon Alliance, along with hundreds of partners, launched the global advocacy campaign: What Women Want on April 11 2018, coinciding with International Maternal Health and Rights Day. The goal: to hear directly from one million women and girls about their number one priority for quality maternal and reproductive health services. What Women Want aims to: 1) educate and empower individuals about the importance of quality, equity and dignity in women’s and girls’ healthcare 2) support women and girls to demand access to high-quality and dignified care and 3) place women’s and girls’ self-articulated needs at the center of health policies, programs and accountability. While focused on women, male involvement is important. Men can support the campaign by reaching out to women and girls aged 15 to 19 to let them know about the campaign and encourage them to take the survey. 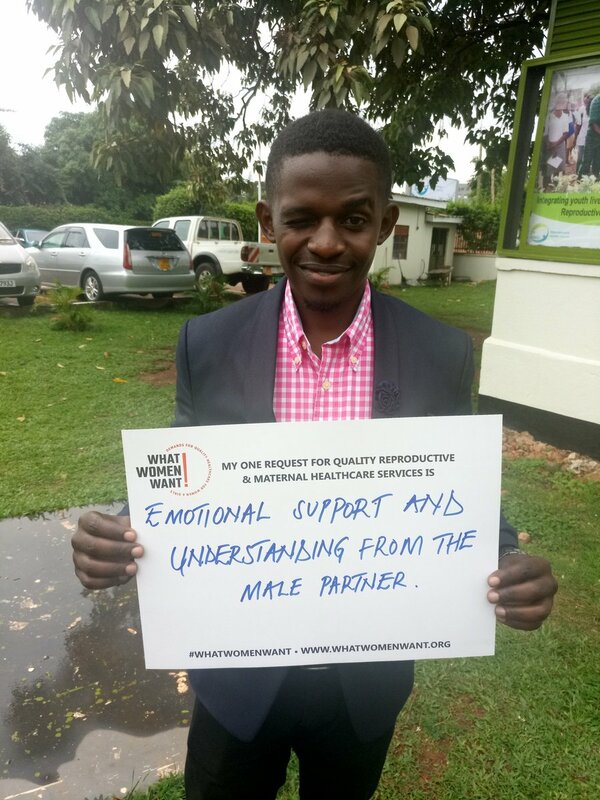 Men – or anyone who cares about reproductive and maternal health – can help disseminate the electronic survey, or share the paper survey, emphasizing that answers should be from women and girls only, about their top priorities, not what anyone else thinks it is or should be. For step by step instructions on administering the survey, please visit www.whatwomenwant.org/resources, or email info@whatwomenwant.org with any questions. WRA and partners are collecting responses throughout 2018, then in 2019 responses will analysed to create a global picture of what women want and disaggregated by country for specific advocacy agendas. The Alliance will work with partners to drive tangible improvements for women’s and girls' reproductive and maternal health, engaging political leaders at all levels. Beyond the campaign, men can listen to women and girls, value their opinions and trust them to direct their own healthcare. Together, we can ensure healthy women, girls, families, communities and nations.